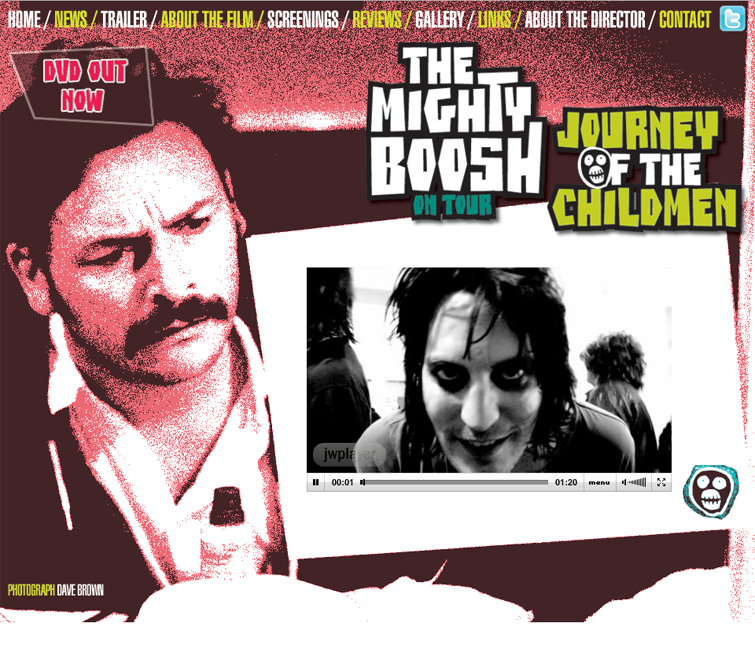 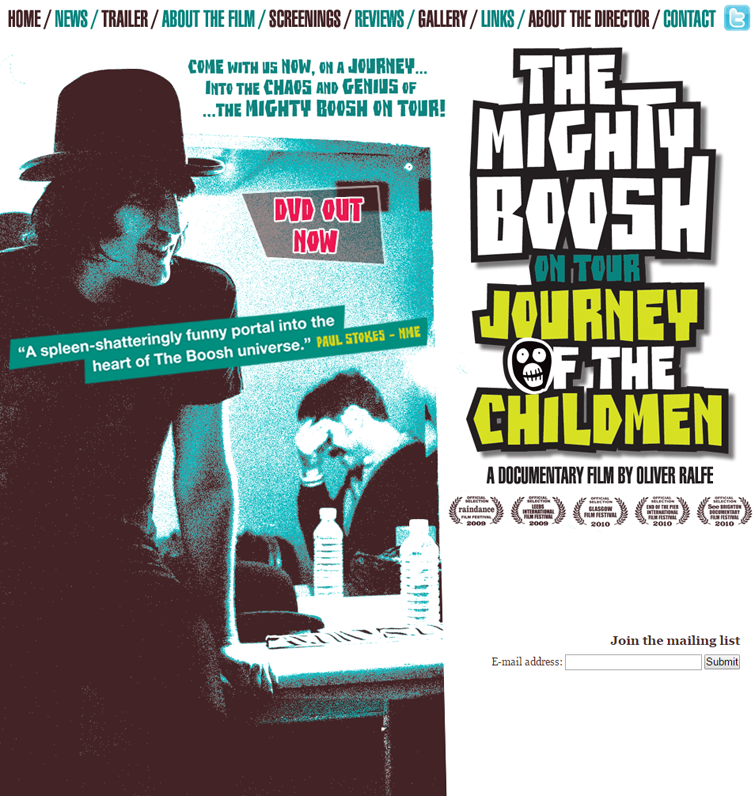 The brief was to build a promotional website to accompany The Mighty Boosh's tour documentary release: Journey of the Childmen which documents the mad cap cartoon pirates on their mammoth Future Sailors tour proving to be the ultimate backstage pass into the chaos and genius of The Mighty Boosh. 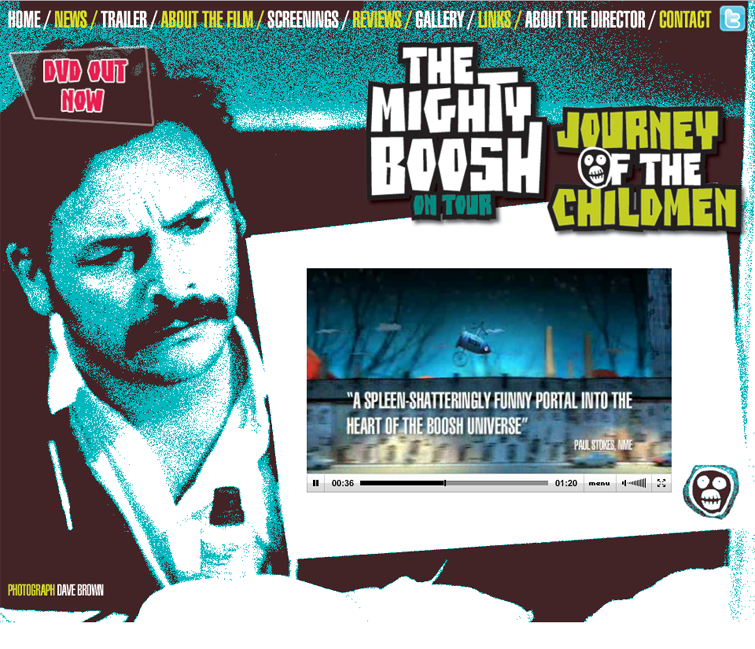 The brief was fulfilled by designing & developing a colourful, vibrant & eye-catching website that might go some way to summing up the colour, chaos & zeitgeist appeal of The Mighty Boosh. 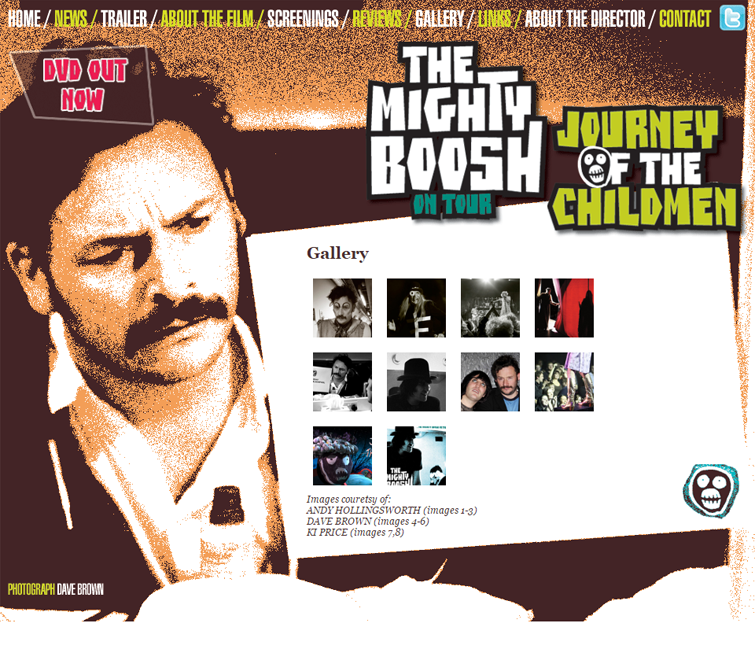 The client liked the design so much that they eventually used it for their core site.